"There are no cuts to Medicaid. There are no cuts to Medicare. Nobody is disqualified from insurance. So what does happen? We have a mandate where some of our friends thought that it was a good idea that the government should force people to buy a product whether they want it or not-which strikes me as an outrageous and unconstitutional infringement on personal freedom but, nevertheless, that's the law. People are forced to buy a product whether they want it or not-and then the government gets to dictate the terms of that product, irrespective whether or not people think it's a good idea. And then there's a category of people, many who can't afford that product because this market is so badly designed. And then what we do is we say that if you're in that category of people who can't afford this product that doesn't suit your family well, then we're going to punish you with this tax. What we do in this bill-and this is all we do in this bill-is we zero out the punishment that, under current law, we inflict on people who decide they can't afford to comply with this mandate. "In Pennsylvania, 83 percent of the people who are currently absorbing this punishment and forced to pay this tax, their family income is less than $50,000. Want to talk about a middle income tax cut-it's the people who can't afford these unaffordable plans who will no longer be punished with this tax. That is all we do. There are no cuts to Medicaid, there are no changes to the program, there's no reimbursement differences, there's no disqualifications for people to participate. We are simply saying if you can't afford these ill-designed plans with respect to your family, you're not going to have to pay this penalty." SEN. PAT TOOMEY (R-PA): "Let's get some clarification, because we've heard quite some extraordinary comments from the other side. Mr. Barthold, can you tell me where in the bill is the text that disqualifies people from Medicaid?" THOMAS BARTHOLD, Joint Committee On Taxation: "The chairman's mark had no provision related to Medicaid, it was really just tax provisions sir." SEN. TOOMEY: "There's no provision that disqualifies people for Medicaid?" BARTHOLD: "Not in the mark as modified." 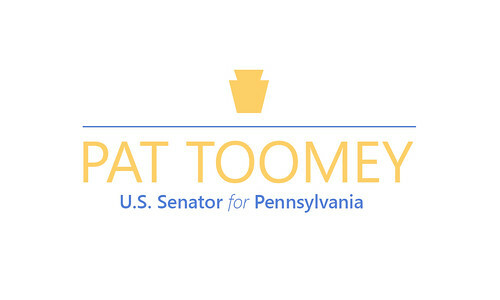 SEN. TOOMEY: "It doesn't disqualify anyone from Medicaid. How about Medicare?" BARTHOLD: "No changes in terms of Medicare." SEN. TOOMEY: "Nobody is disqualified from Medicare whatsoever."